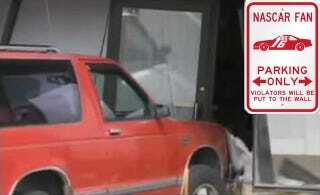 A woman rushing home to watch this past weekend's Nascar race on TV crashed her Chevy S-10 Blazer into a store window. Apparently you can't bump-draft a building. What, too soon?